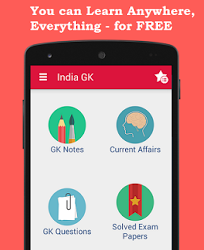 9, 10 March 2016 Current Affairs MCQs, Quiz, Questions: Current Affairs for March 2016, Daily Multiple Choice Questions (MCQs) for India GK, World GK and current affairs with Collection of daily objective type Question by www.Indiagk.net based on General Knowledge (GK) and General Science (GS) Questions for UPSC, State PSC, SSC, Police exam, Railway exam, SBI, Bank PO, IBPC, SSC, LDC, UDC, Army, Airforce, Navy, Coast Guard, Bank Clerk, TET and all entrance examination with current affairs News, Multiple Choice Questions (MCQs) available on Website www.IndiaGK.net and Android Apps with daily updates:. Whose 500th anniversary for a visit to Vrindavan has been commemorated with support from Ministry of Culture? Explanation: To commemorate the “500th Anniversary of Shri Chaitanya Mahaprabhu’s coming to Vrindavan”, Vrindavan Research Institute, Vrindavan has come up with a number of programmes with the financial support of Ministry of Culture. The celebration was marked on 25 November, 2015 on the day of Kartik Purnima, the day of Mahaprabhu’s coming to Vrindavan. Shri N.K. Sinha, Secretary, Ministry of Culture will receive ‘Shri Chaitanya Prem Rath’ amidst chanting of Hare Krishna by a group of devotees followed by Nritya Natika. Which team wins Pro Kabaddi League 2016 ? Patna Pirates lifted their maiden Pro Kabaddi League title 2016 as they once again stamped their authority in the tournament with a 31-28 victory over U Mumba in the final in New Delhi on Sunday. The match ended in favour of Patna Pirates after a thrilling 40-minute play. Rohit Kumar of Patna Pirates was awarded Best Raider and Mohit Chillar of U Mumba the Best Defender of the Match. A new species of burrowing snake, named Melanophidium Khairei, was discovered in which region of Indian peninsula? Explanation: Researchers have discovered new species of burrowing snake named Melanophidium khairei or Khaire’s Black Shieldtail in Northwestern Ghats. This new snake species was correctly identified after a gap of 144 years as it was earlier wrongly identified as identified as Melanophidium Punctatum or Pied-bellied Shieldtail. The new snake species has been named as ‘Melanophidium Khairei’ or ‘Khaire's Black Shieldtail’ after Neelimkumar Khaire, the legendary founder of Katraj Snake Park and Indian Herpetological Society, Pune. Maharashtra and Telangana sign historic pacts on water sharing in March 2016 on which Rivers? Explanation: Maharashtra and Telangana sign historic pacts on water sharing . Both states agree to construct five barrages to share water for irrigation. Telangana and Maharashtra government's have signed an MoU for the construction of five barrages on Penganga and Godavari rivers. Out of these, three barrages will be constructed by the Telangana State and two barrages by Maharashtra government. Explanation: Lok Sabha has passed The Bureau of Indian Standards Bill, 2015 by a voice vote to establish Bureau of Indian Standards (BIS). The Bill replaces the Bureau of Indian Standards Act, 1986 and establishes BIS as a national standard body for development of standardization and assessment and quality assurance of goods, articles, services, processes and systems. The Bill seeks to broaden ambit of BIS and empower Union Government to make it mandatory to carry the standard mark for certain notified goods, articles, processes, etc. Explanation: Housing dot com co founder Advitya Sharma has resigned from the company he started with IIT batchmates including ousted CEO Rahul Yadav. Mumbai based real estate portal is one of the hottest tech startups in India. Which Telcom Operator has partnered with TATA Sky to provide VoD services to broadband users? Explanation: State owned telecom operator BSNL has partnered with DTH major TATA Sky to offer video on demand services to broadband users. BSNL will waive off broadband rental for the first month while Tata Sky will offer its VoD service free for the first month to download content worth up to INR 500. BSNL has launched free Wi Fi hotspots in Chennai.